A spellbinding journey through parts of Afghanistan, Pakistan, Indian, Nepal, and Bhutan. Life in London is getting boring, so Wood is challenged to complete another trek. His earlier book is Walking the Nile, and he was a Major in the British Parachute Regiment. Not trying to climb the Himalayan peaks, Wood plans to walk the whole length of them. Most of the journey is full of spectacular scenery and curious villagers. Accompanied by various guides, including an old friend, he also encounters the Dalai Lama, a cobra, shamans, tigers, a landslide, and honey gathering on a mountain cliff. Wood is nearly killed in a jeep crash, and his journey’s end is uncertain. Part of his trek was filmed for British television, and some of it is available online. This is an excellent choice for fans of real life adventure. 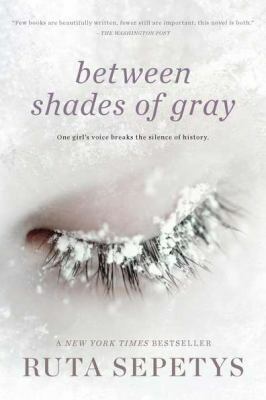 Between Shades of Gray is a harrowing story about a young girl, her family and her neighbors being forced from their home in Lithuania and imprisoned in a brutal Siberian encampment under Stalin’s rule. As one would expect, this wartime story is horribly sad and disturbing. However, there are moments in the imprisoned people’s lives where they remind one another that they are indeed compassionate human beings who are capable of empowering themselves and one another by sharing happy and peaceful memories. These moments better enable them to survive–spiritually and physically. On one occasion the “prisoners” free themselves from several months of endless burden and physical wear with the use of what can be called, collective memory. They secretly gather on Christmas Eve and recreate a scene that resembles a traditional Lithuanian Christmas dinner celebration—Kucios. During this commemoration they have only the small stolen rations of stale food from the farming camp that they are temporarily enslaved at. Yet, with these very limited means the group manages to capture the spirit of the holiday celebration, perhaps in a more powerful manner than any Christmas past. Lina, the protagonist of the story, is a gifted artist and seizes every opportunity to capture, on bark or stolen paper, such moments of beauty. She also uses her artistic abilities to record the destruction and obscenities she has witnessed and experienced. Lina draws with an understanding that her depictions are recorded evidence as well as an act of defiance and freedom of expression. Moreover, she holds onto the hope that her drawings are a conduit through which her separated family can communicate and reunite. The characters in this story, and their small amount of personal belongings, are up-heaved and moved from place to place further away from their homeland and from the peaceful lives they once knew. Lina’s story, and her art, balances a wanting of what once was, with a need to move forward. Nell is one of only two survivors of a plane crash. She remembers nothing of her life, but learns that she runs an art gallery with her sister, and is married to (but separated from) Peter, and is the daughter of a famous reclusive painter who abandoned the family years ago. She is surprised to find that she’s a control freak who only wears neutral colors, and that she and her sister weren’t speaking before the accident. She used to like music, and her sister makes a recording of music to help prompt her memory. 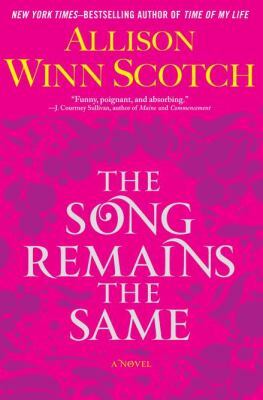 It seems that no one is telling her the whole truth, and she turns to fellow survivor, actor Anderson, to help her find out who she really is. I was really interested in Nell’s story, but found the lies her family and friends told somewhat unbelievable, more so than the amnesia itself. A real page-turner. Alice hits her head during spin class one morning, and loses a decade of her life. She thinks she’s pregnant with her first child, and is stunned to find out that she and Nick have three kids, and are separated. Her sister Elizabeth is married but seems distant, and her mother has remarried, to the most surprising person ever, and enjoys salsa dancing. Alice only gradually remembers flashes of the last decade, and frankly doesn’t like the older Alice. She’s a super mom, very involved at the kids’ school, but they don’t seem that happy. Why is everyone asking her about plans to break the world record for lemon meringue pie? And is she really dating Dominick, the school principal? 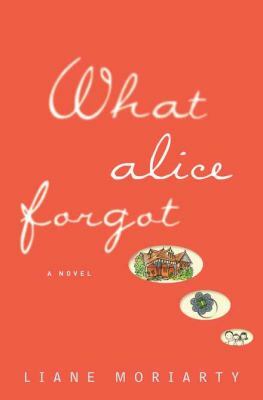 I really liked the early Alice, and was rooting for her to remain true to herself as she regained her memories. Besides the lemon meringue pie scene, some of my favorite funny parts were how she handles a child’s getting kicked out of school, and salsa dancing. I don’t usually read books about zombies, but this is not your typical zombie story. Are you ready for the zombie apocalypse? Me, neither. In fact, I think the existence of zombies is impossible. Oddly, so does Stony Mayhall, Daryl Gregory’s living dead protagonist. In 1968, Wanda Mayhall is driving her three girls home through an Iowa snowstorm when she sees a body by the side of the road. Wanda finds the frozen body of a young woman, with a cold baby in her arms. Then the baby opens his eyes, and Wanda takes him home, where she and the girls keep Stony’s existence secret from everybody but their Korean neighbors. After young Kwang comes to visit, Stony grows in size to match him, and they grow up together. While frustrated because he’s stuck at home, Stony loves his family. After a tragedy, Stony is separated from his family and taken to a safe house with other living dead (LDs), and even to a secret LD convention, which ends badly. LDs have different political views, and are really dangerous for only a few days after they are bitten and become LD. They can eat and drink, but don’t need to, and smoke a lot. Some even fall in love. Stony studies the origins and science of LDs and meets a wealthy entrepreneur on a desert island who wants to send LDs into space. Stony longs for contact with his human family, and tries to prevent a faction of LDs from starting the Big Bite, or zombie apocalypse. A funny, sweet, and frightening story of self-discovery, family love, and zombies.